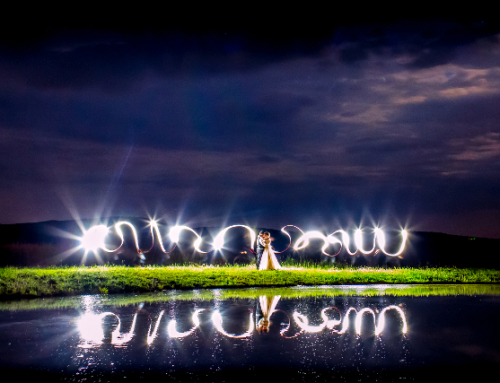 More Details: It’s very difficult to put into words how awesome our wedding was. The location of our wedding was very special to us. The Oswegatchie Educational Center is where my husband and I met, while I was working there as a summer camp staff member. Jamie did and still does work at the facility as a year-round employee. The rustic Adirondack setting complemented our love of the outdoors and our connection to the location, and was maintained with our rustic yet elegant theme. We did our favors ourselves, my high school agricultural teacher did our flowers, a dear friend officiated the ceremony, and close friends made the desserts and cake. 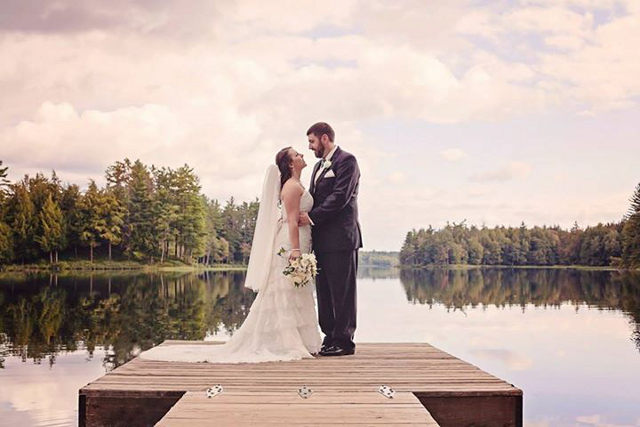 Our ceremony took place outside overlooking one of the beautiful lakes on the property. Thankfully the weather held out, as it rained the day before and even that morning. 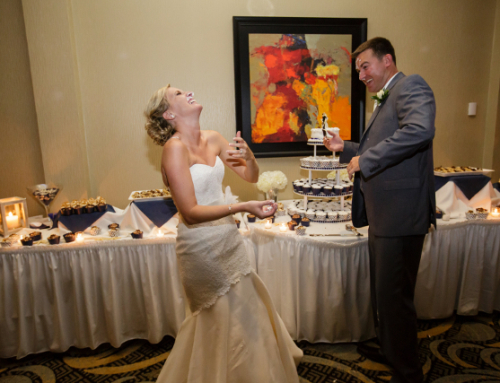 We loved every aspect of the wedding: the ceremony was full of laughter and joy, and our reception was a crazy party, just like we anticipated. During the reception we played the Shoe Game, where we sat back-to-back holding one of our own and one of our spouse’s shoes and one of the groomsmen asked us questions that we answered by holding up the shoe of the person the question most accurately fit. My husband also brought out his crowd-pleasing Heelies later in the night. The caterer did a phenomenal job and people still tell us it’s the best wedding food they’ve ever had. 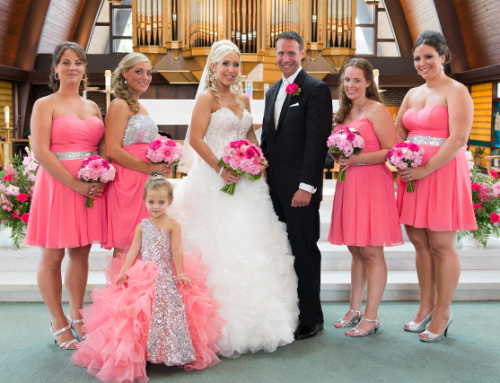 Our photographer also did a stunning job, and we were very fortunate to find her. At the close of the reception, we had a huge bonfire where the party continued. The next morning, Jamie’s coworkers (and our friends) hosted a pancake breakfast for the survivors. We were and are so fortunate to have been able to share our perfect day with so many of our friends and family, and to party it up with all of them in the same location. 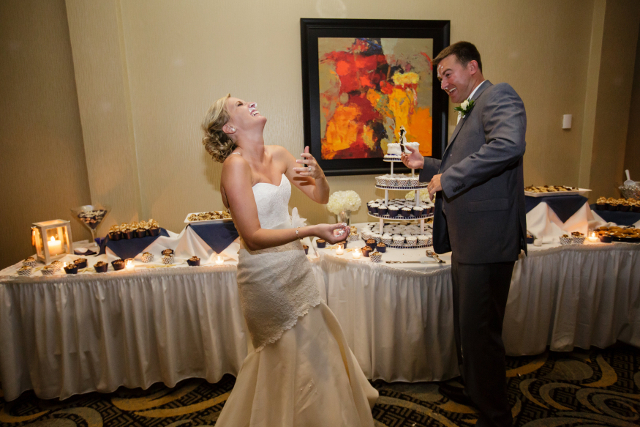 My wedding dress was Boston by Maggie Sottero. I knew I wanted a sweetheart neckline and lots of lace. I found the dress on Pinterest and instantly knew it was the one. 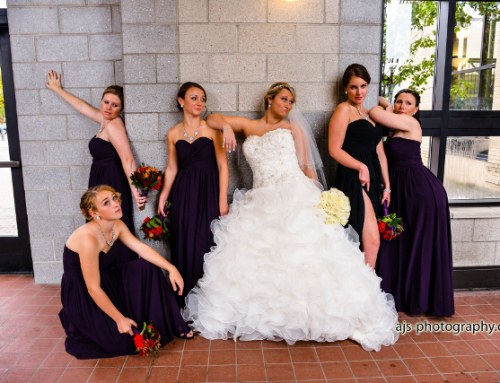 I called many bridal salons all over New York State, and none carried the dress. New York Bride offered to rent it from the company so that I could try it on. 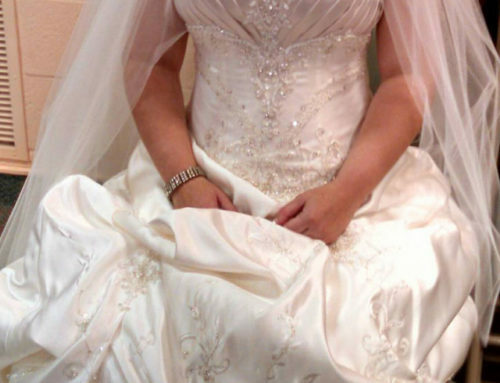 I tried on several other dresses during my appointment, including my consultant’s dress for her upcoming wedding, just to make sure that I didn’t “put all my eggs in one basket.” As soon as I tried on the Boston, however, all of my highly opinionated friends were suddenly silent. It was everything I had envisioned and more. The dress was perfect and I am very thankful to New York Bride for making my wedding dress dream come true. 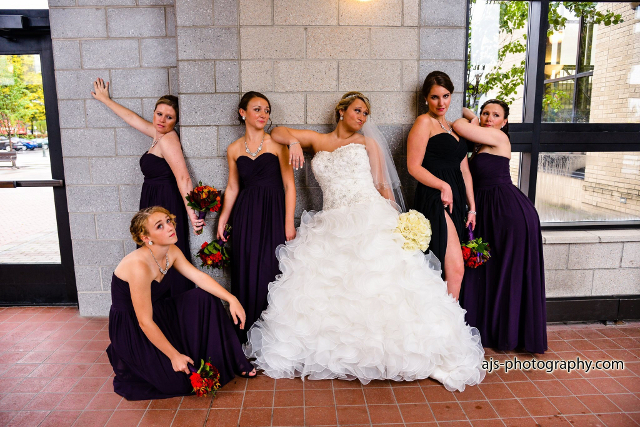 Unique Styles For Syracuse Bridesmaids At NYB&Co.